The Ultra Slim with the Titanium Barrel Nut system offers a little less weight and a little more strength along with the standard 8 M-LOK® slots on 3 slot tracks at 3, 6, and 9 O'clock Position for easy installation of M-LOK® accessories. 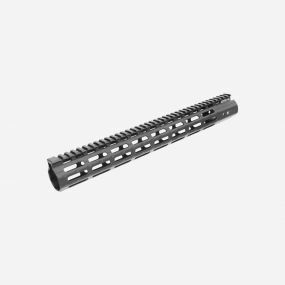 Proudly made in the USA, UTG PRO M-LOK® AR15 15" Ultra Slim Free Float Handguard includes a proprietary titanium barrel nut providing light weight easy installation. The ultra slim design contains lightening cuts throughout to massively reduce weight, while still allowing for a high level of modularity. Ergonomically grooved handguard surface and overall octagonal profile features additional left and right sided grip serrations. 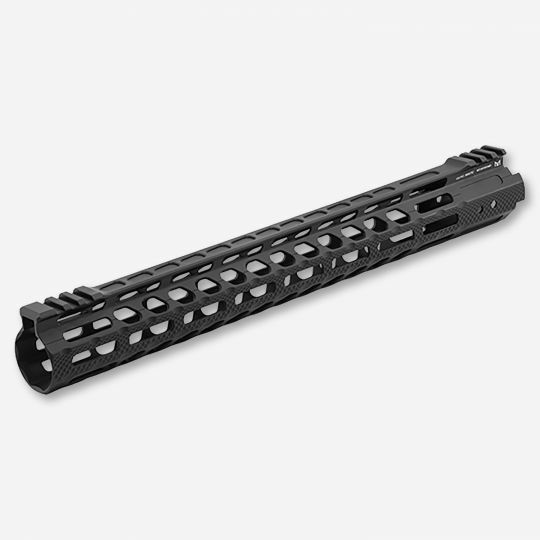 The integral anti-rotation tabs for accurate alignment with the upper receiver while completely preventing the handguard from rotating under heavy use. Designed to Fit with Standard Gas Tube and Barrel Diameter Not Exceeding 1" Not Compatible with Piston System, Re-designed or Over-sized Upper Receivers.